We would like to share with you the latest heartwarming fabulous news that after three years of very serious work, the Russian edition of our book “Calling You” was born and was launched on its sacred journey in 2017! This miracle could not have been realized without András Sevcsenkó, who was the initiator, caretaker and sponsor of the whole process, and who, for 17 years as a committed, stable member of our group, felt in his heart that this Holy Message must reach more people in the world and find its voice in different languages as well. 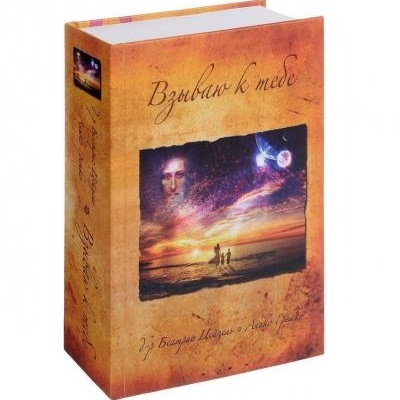 Many heartfelt thanks to Larisa Panteleeva, who after reading the English edition of our Stellar Nations book, felt that these books must be translated into Russian as well and find their audience in her country. Thus András and Larisa made the editing and found the publisher as well. We are grateful from the depth of our hearts for their sacrificial work in birthing this treasure into life! Moreover, it is remarkable that the famous translator – Jurij Pavlovics and his dear wife Diana – performed the translation, who is the most outstanding translator of most Hungarian classical literature and poetry in Moscow. He has also received various awards and literary prizes from Hungarian ELTE University for his outstanding work in the authentic broadcasting of literary works. In addition, he translated the world famous spiritual book called Red Lion by Maria Szepes into Russian. It was really fantastic to cooperate with them during the translation process, and they even visited us once in Budapest. Jurij is already working on the translation of our first book called Stellar Destinies, while we work on the English translation with Virág Lökös and Leslie Shankman, so hopefully next year these books will be completed as well. We celebrate that this immensely happy moment has come, and now the beautiful message beside the initiating sacral journey of the Christ Soul, and the story of the Holy Family is accessible in three languages, revealing the long forgotten or hidden secrets of Mary, Jesus, Mary Magdalene and all the members of the Holy Family connecting our present world and time. We hope by heart that it will reach more and more open and seeking souls in the world! We would be grateful if you shared this news with your Russian speaking friends, thus this message can fly on Pegasus wings, and through pure human hearts, to reach as many searching souls with this new age Gospel and eternal teaching of the Heart Mysteries, as possible!